Open house on Saturday, September 8th from 12:00pm-1:30pm at 1123 Oak Hills Rd. Have your cake and eat it too! 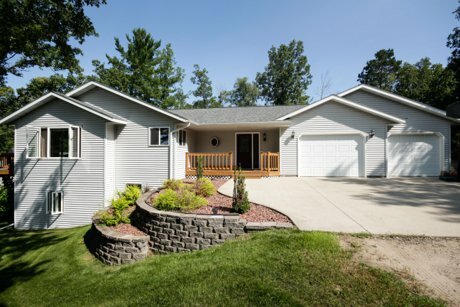 4 bedroom 4 bath home located on 3 acres just South of Bemidji. This home has an attached garage and a heated shop with extra cold storage in the back. Large open floor plan, new kitchen appliances along with new flooring and paint. The walkout lower level has an additional kitchen area. Just minutes South of Bemidji on Oak Hills Road. To see more property details, click here.